The Royal Air Force 'RAF' is Britain's aerial warfare force and was the founding father to the structure of most air forces around the world. 2018 marks the 100th anniversary of the Royal Air Force and a prestigious milestone in aviation history. Along its illustrious 100 year path, the Royal Air Force has been integral in the development of aviation and the development of aviation warfare. From the early days of flight it has been instrumental in developing technology from the biplane era right through to modern typhoon fighters. The RAF has played a significant role in Britain's major battles and also contributes to their victory in most cases. 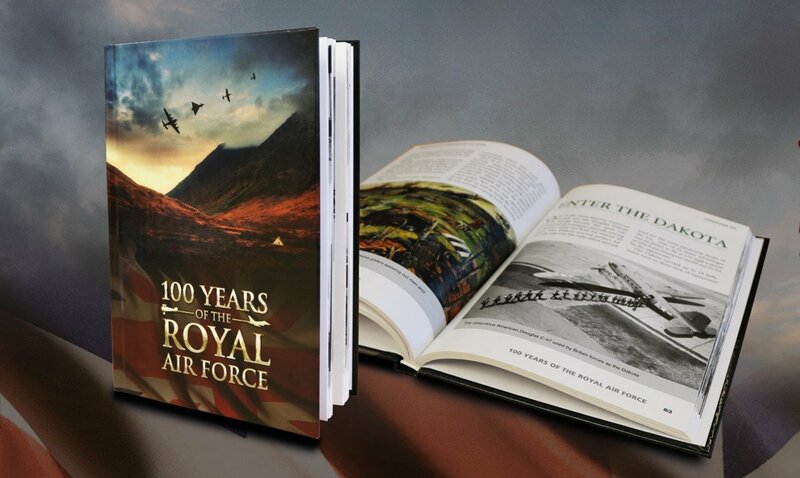 The 100 years of the Royal Air Force Bespoke Hardback book pays tribute to 100 years of heroic deeds. It takes us from the First World War through to present day and is available exclusively from The London Mint Office. This is the perfect publication in such a poignant anniversary year.